The centrepiece of the album is its show-opener – ‘Hayre’, a four-part suite in praise of the Peruvian master Carlos Hayre. The music is composed after Hayre’s style and is animated in Juárez’s own elegant manner. Written in the style of música criolla and adapted for the ‘big’ canvas, the pieces ‘dance’ with unusual clarity as Yuri Juárez illuminates contrapuntal lines with exemplary detail and joyful textural complexity, using the orchestral pieces with studied grace. Part 2 – the ‘Landó’ – and 4 ‘Fuga’ are poised and vivacious and combine tranquility with unimpeded momentum. Having paid his respects to the tradition, so to speak, Juárez continues to redefine his ‘criolla’ influences throughout with considerable eloquence. The guitarist’s playing is authoritative and beautiful. His ‘Himno Nacional del Perú’ is gorgeous too. Lyricism and dynamism are held in judicious equipoise and the orchestral players are equally impressive, stylistically deep inside conveying both its muscle and its inspired allure. Sometimes a recording will come along which possesses such vitality and strength of purpose that it forces one to look at traditional and contemporary music from an altogether new perspective. 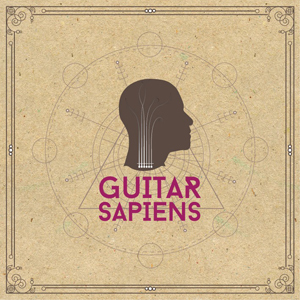 Guitar Sapiens is such a record. The Ensemble part of the recording is as impressive as the Orchestra disc. In both the real ace is not only Yuri Juárez’s majestic playing but also haunting voices of Sofia Tosello and Jorge Pardo. And, of course there is the resonance and directness of the playing by the stellar cast of instrumentalists, memorably in the folk-like cadence and gesture, classical in lyrical construction – all of which yields rich and seductive soundscapes. 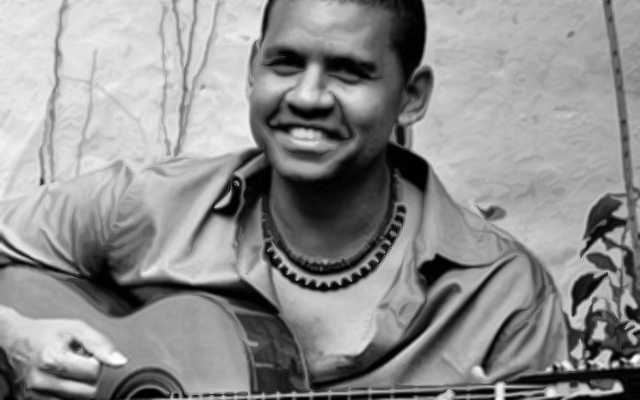 Yuri Juárez will be hard-pressed to top this performance in the short term, but judging from the results of this double album the guitarists is headed for a rarefied realm, not only as far as his virtuoso playing is concerned, but also in his contributions to Afro-Peruvian música criolla as well. Track List: Guitar Sapiens Orchestra – Hayre 1: Marinera, 2: Landó, 3: Resbalosa, 4: Fuga; Hojarasca; Gitanos y criollos; Scena; Himno Nacional del Perú. Guitar Sapiens Ensemble – Raices del festejo; Carmen lives in Paris; Tangiosofia; Ocaso y amanecer; Retrato em branco e preto; Gloria; El escape del Cimarrón; Despertar. Personnel: Orchestra: Violins: María Elena Pacheco, María Fust, Elmira de Coll, Javier Rodríguez, Judith Acevedo, Elvira Zhamaletdinova; Violas: Maria Elena Pacheco, Elena Vascones; Cellos: César Pacheco, Mario Luccioni; Voice: Jorge Pardo, Sofia Tosello, Leo Amaya, Gusta Urbina, Félix Valdelomar; Bass: Jorge Roeder, Bass and electric bass: Mario Cuba, Fretless Bass: Alexis Tamayo; Flute: César Paredo, Piccolo and flute: Manuel Carranza; Trumpet: José ‘Pepe’ Villanueva; Cornet: Ricardo Ponciano; Flugelhorn: Gabriel Alegria; Trombone: Percy Recavarren; Oboe: Carlos Otárola, Carlos Benito; Clarinet and bass clarinet: Marco Antonio Mazzini; Bassoon: Omar Garaycochea; Alto saxophone: Rafael ‘Fusa’ Miranda; Tenor and baritone saxophone: Néstor Benitez; Keyboards: Renato Diz; Bandoneón: Omar Massa; Drums: Hugo Alcázar; Cajón: Leonardo ‘Gigio’ Parodi, Caroline Cohen, Juan Medrano Cotito; Cajón criollo: Marcos Mosquera; Cajón flamenco: Jose Montana; Tumba: Jhair Sala; Palmas: Leo Amaya, Edu Olivé; Guitars, palmas and arrangements: Yuri Juárez. Ensemble: Tenor saxophone: Melissa Aldana; Trombone: Humberto Amésquita; Piano, keyboards: Renato Diz; Accordion: Victor Prieto; Violin: James Ogle, María Elena Pacheco; Bass: Pablo Menares, Electric bass: Mario Cuba, Fretless bass and bass: Moto Fukushima; Drums: Hugo Alcázar; Sirazette Tinnin; Cajón and campaña: Marcos Mosquera; Djembe, cajón and pandeiro: Jhair Sala; Voice: Jorge Pardo, Sofia Tosello; Guitars and arrangements: Yuri Juárez.